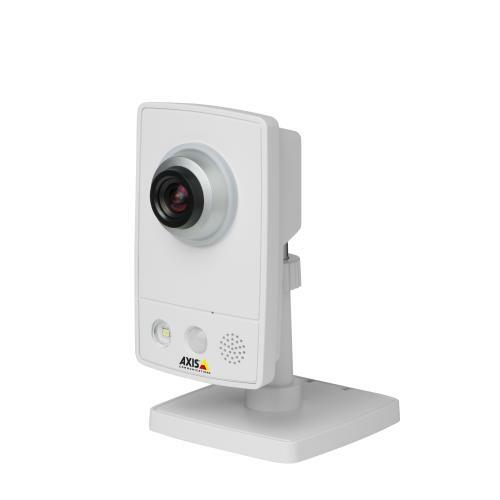 From the IP Camera market leader Axis, a extremely functional and feature packed High Definition wireless enabled indoor IP Network Camera with Passive Infrared Motion detection sensor. A step up product from the Axis M1011-W, the M1034-W has a high definition CMOS video element of 1MP or HD 720P and a PIR detector for sensing motion. Suitable for more advanced internal home remote surveillance and monitoring, offices, shops and anywhere with WiFi coverage where you need a quick camera installation without the need to run a UTP data cable, it only requires power.